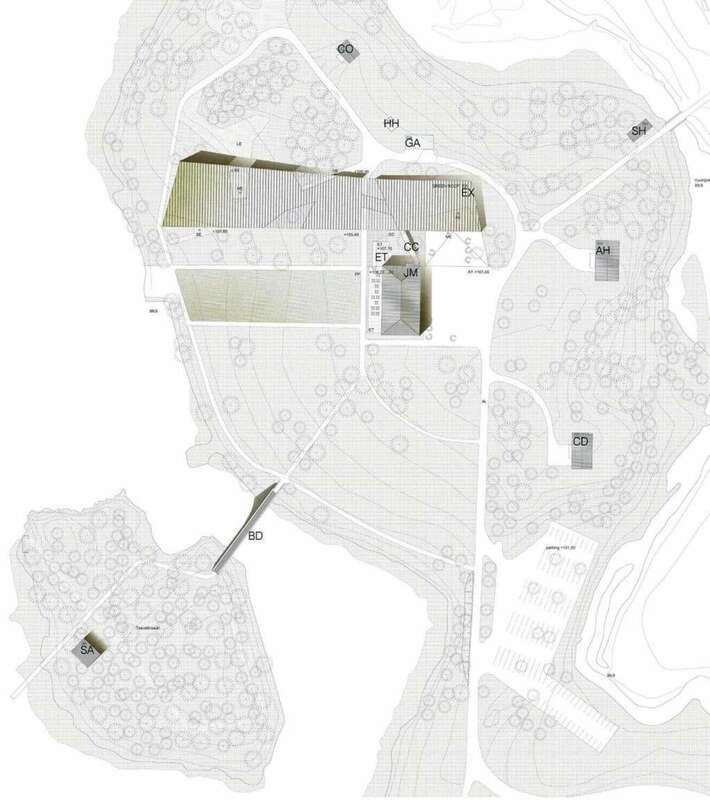 The three young architects of Spanish studio MX_SI have won the competition for expansion of Gosta Serlachius Museum in Finland. With the Gosta Serlachius Museum project, MX_SI focuses on and guides the context of the landscape, offering a central position to the old Joennimei Manor House where the museum was originally housed. 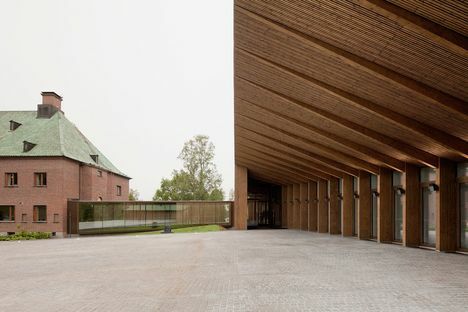 Spanish studio MX_SI’s expansion for Gosta Serlachius Museum in Mänttä, Finland, opened in 2014, is a project with strong roots in tradition. There are two main elements in MX_SI’s project: the old Joennimei Manor House, the museum’s original home, and the landscape in which it stands, on the shores of Lake Melasjärvi, a forest and the island of Taavetinsaari, an integral part of the new exhibition route. Respect for and enhancement of these two simple but vital elements made the Spanish project the winner in an open international competition held in 2011 by the Serlachius Foundation and the Association of Finnish Architects, SAFA: a competition which turned out to be surprisingly popular, with 579 projects submitted by architects in 42 different countries. The museum's history begins in 1935 with the completion of Joennimei Manor, the home of Gosta Serlachius (1876-1942), owner of one of Finland’s biggest paper mills and a great art collector. The building did not become a museum until 1984, when it hosted an exhibition of artworks celebrating the Golden Age of Finnish art, the time of nation-wide flowering of the arts in the late nineteenth century. The brick manor house with its copper roof is not of particular interest as a compositional reference, but as a spatial node because of its central position on a lot sloping down to the lake, on the main road leading to the point of departure for Taavetinsaari Island, where there is now a steel bridge, part of the project. The new pavilion for temporary exhibitions was built to the west of Joennimei Manor, on the opposite side from the island, and starts in the yard in front of the manor house, ending near the lake. This volume initially appears compact but actually breaks up in both layout and section, orienting the view toward the manor house and the garden stretching from its back wall toward the lake and the little island: the exhibition route continues in this direction with an open-air exhibition of works donated by sculptor Harry Kivijärvi in 2012. The covered grand entrance defines and amplifies the main yard, underlining the façade of the manor house. Tradition determines the structural solutions in the project. The new building has a timber frame made of the red fir plywood typically grown and worked in Finland. The structure and façades break up the impact of the wooden volume, first with the rhythm of the uprights, then with the outer cladding of strips of local timber, and finally with the mirror glass infill which reflects the image of the manor house in the woods. The height of the new pavilion also defers to the old manor house, being careful not to exceed it in height: where the two buildings are grafted together, the roof forms a downward arc so as to avoid interrupting the existing dialogue between the building and the forest to the west. 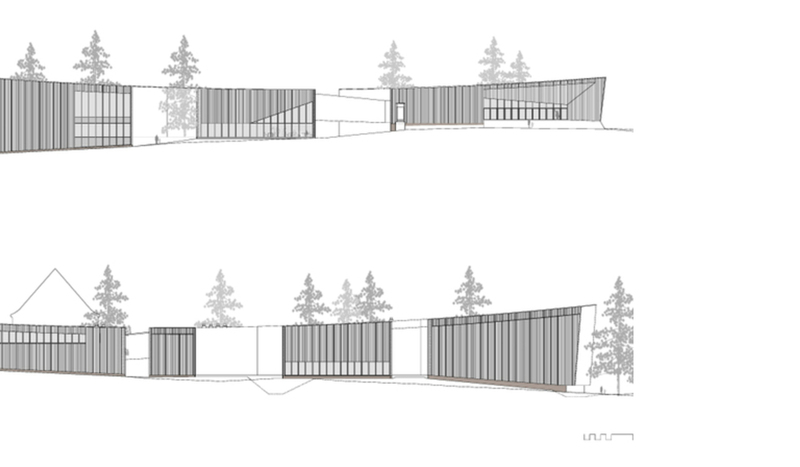 Following the poetics of the façades, the layout also breaks up the new building, opening up numerous points of access and drawing curves embracing the greenery outside, so that the spaces evolve along a linear route which is flexible because it has no pillars, permitting rotation of the artworks.